These Playing Card Sets come with one red and one blue bridge or poker size deck in a custom-imprinted clear acrylic box. Please specify bridge size (#726B) or poker size (#726P) playing card sets when ordering. 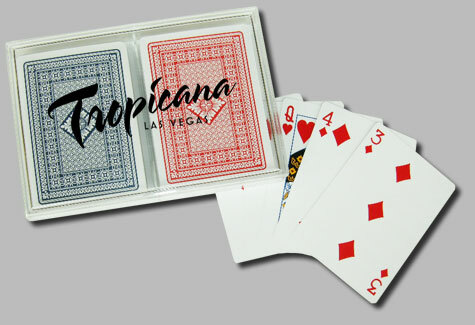 The Playing Card Boxes can be custom imprinted with any design/message you choose on the top of the box lid. Each Two-Deck Playing Card Box Set measures 3-3/4" wide x 5-3/8" long.